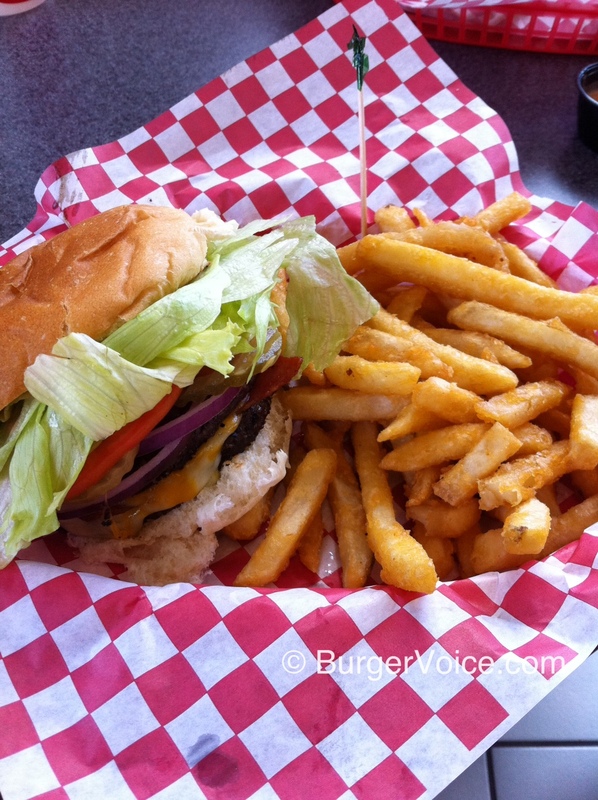 Cedar City is home to a drive-in by the name of Hermie’s and their famous Hermie Burger is something to behold. 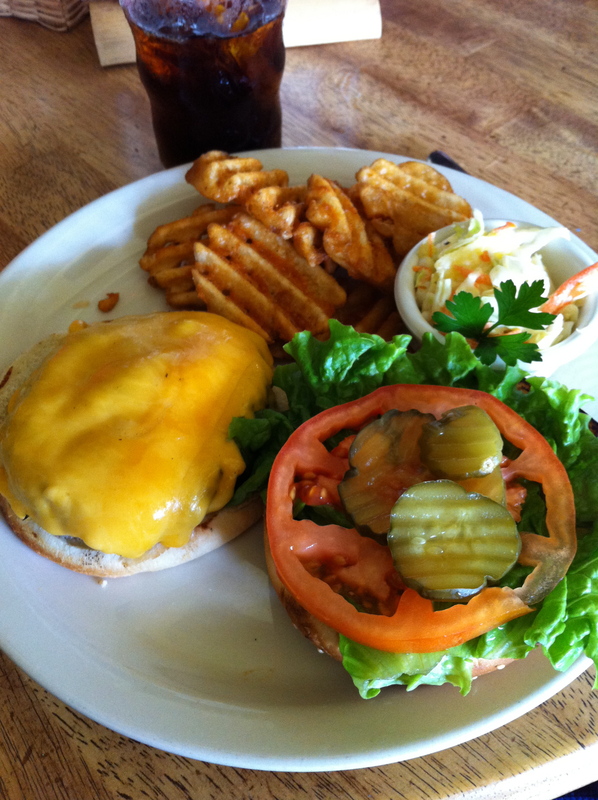 Ranked by Salt Lake Magazine as one of the best burgers in the state, the Hermie Burger is a 3 pattie wonder with a slice of ham, fry sauce, american cheese, tomato, onion slices, pickles all on a 4-part bun. Seriously, it was a thing of beauty. 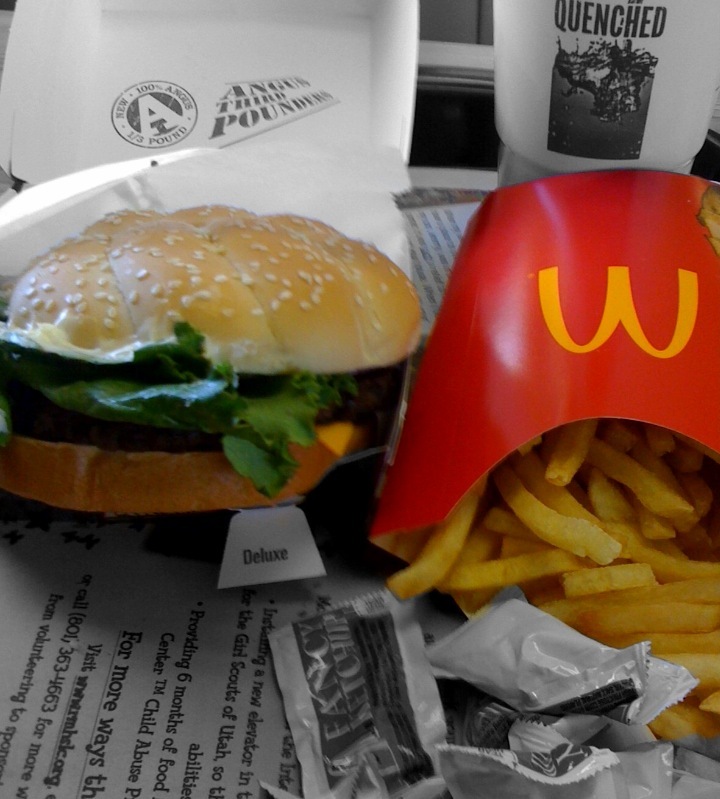 I compare it to a truly homemade Big Mac with an extra layer and real toppings. 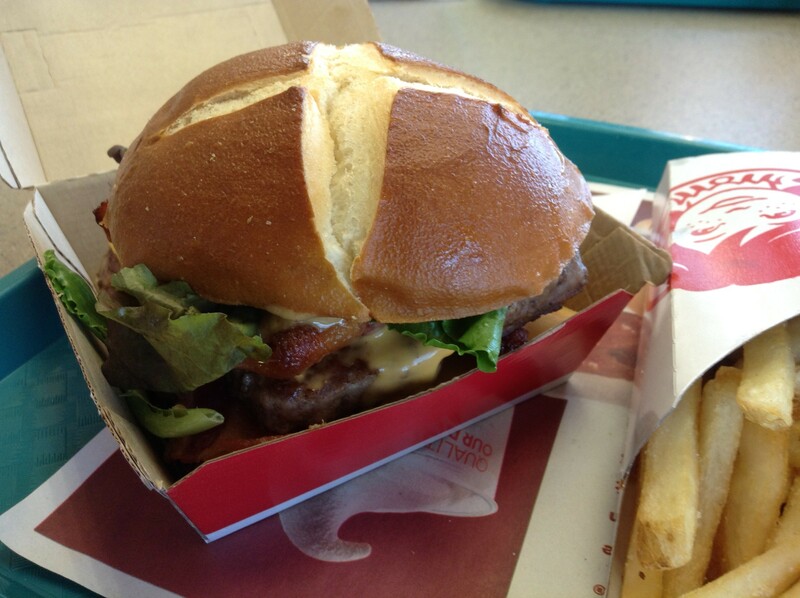 Surprisingly the bun even held up well. 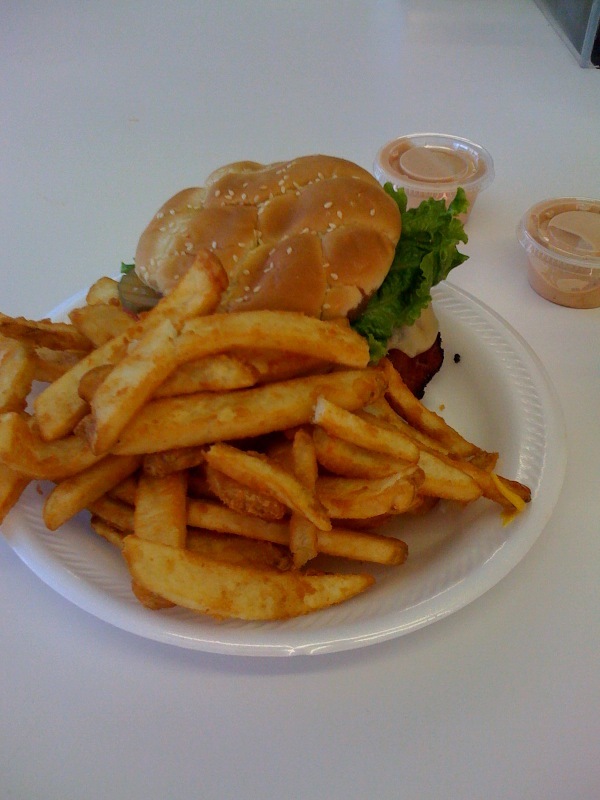 The fries at Hermie’s are a little on the crispier side and lack flavor, but with fry sauce, I ate them all. 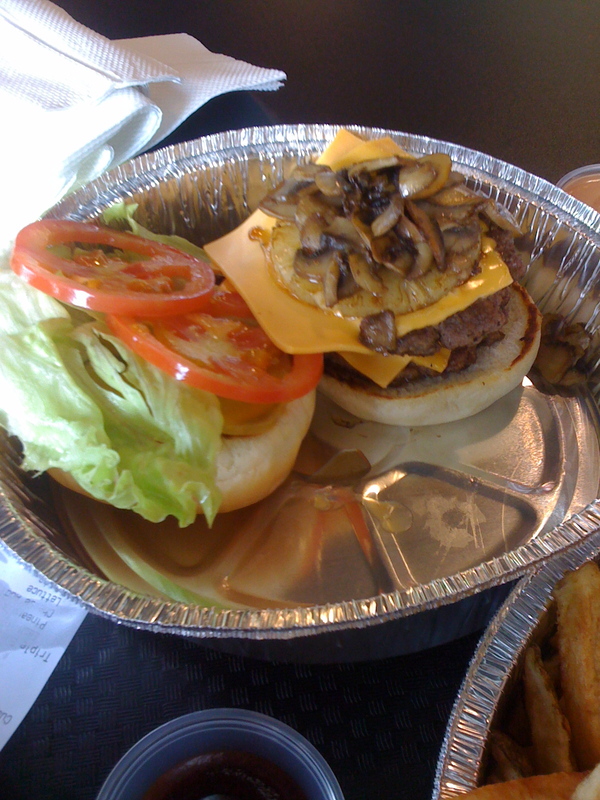 Hermie’s also features a Hermie’s only menu which includes zucchini sticks and FRIED MUSHROOMS. Of course I had to get the fried mushrooms and I’m glad I did. What an experience. Whole mushrooms in a light batter, fried and served with fry sauce. 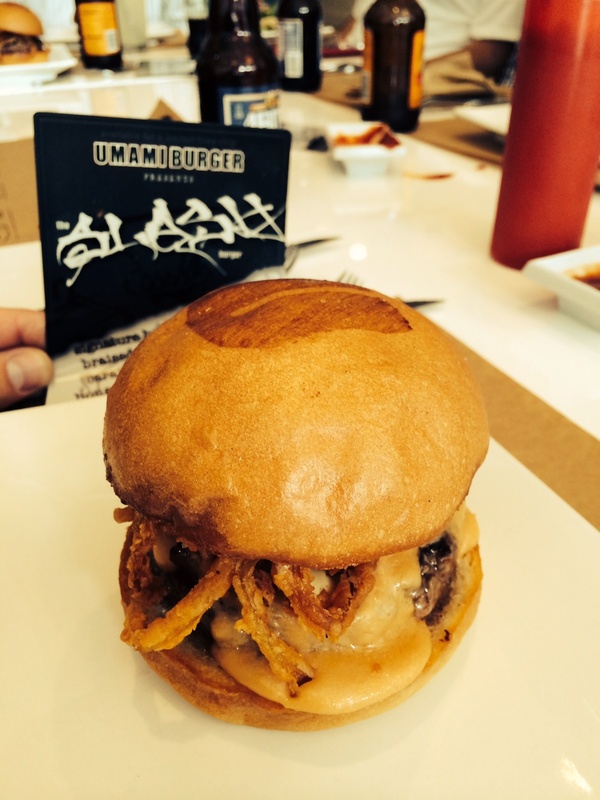 I’m still planning on sticking with fries with burgers but this was a fun surprise and I recommend them on your next visit. 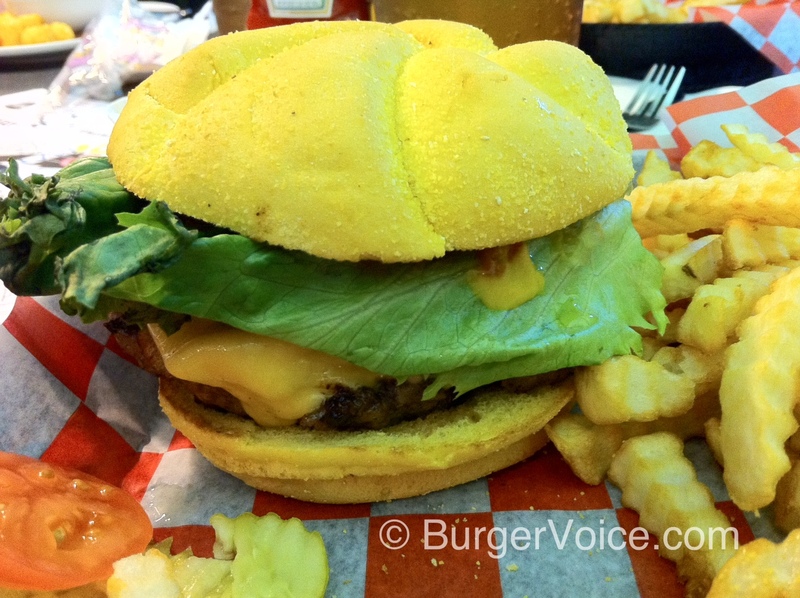 Overall the Hermie Burger deserves the praise it has received. 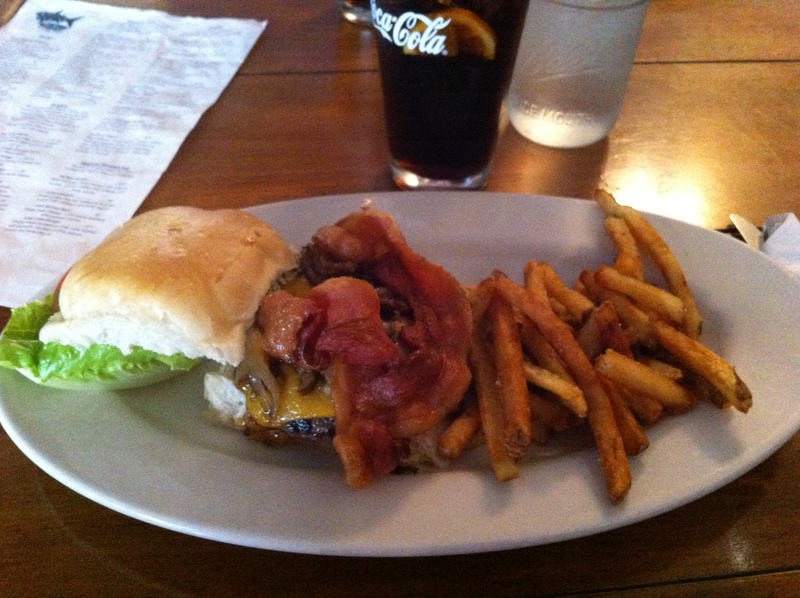 The thin layer of ham in the middle of burger was a pleasant surprise and the burger was moist and delicious. 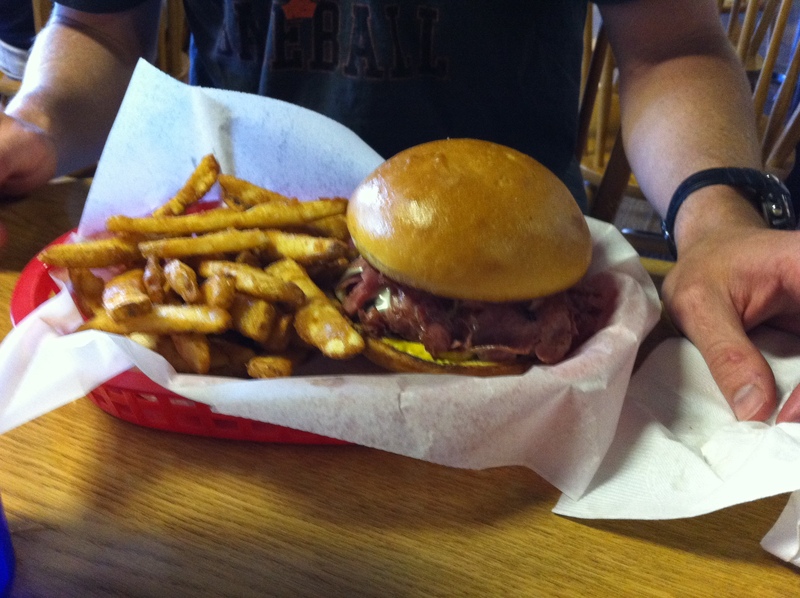 The patties are thin but with 3 patties, ham and a 4-layer bun, this burger really worked. The atmosphere at Hermie’s is that of old car fun with a juke box in the corner, car pictures all over and bright red booths. I enjoyed the experience and the fry sauce was really good. 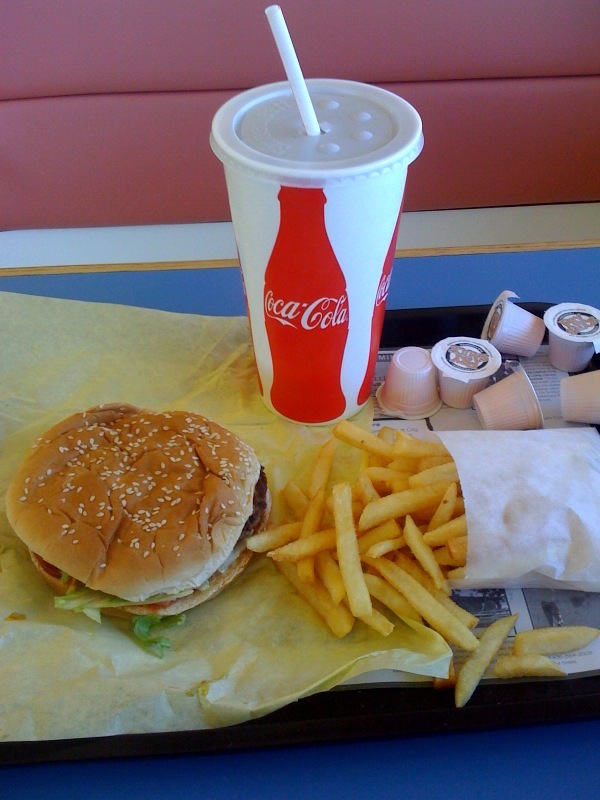 If you are in Cedar City for any reason you should head down Main Street to Hermie’s Drive-In. Tell them BurgerVoice sent you. 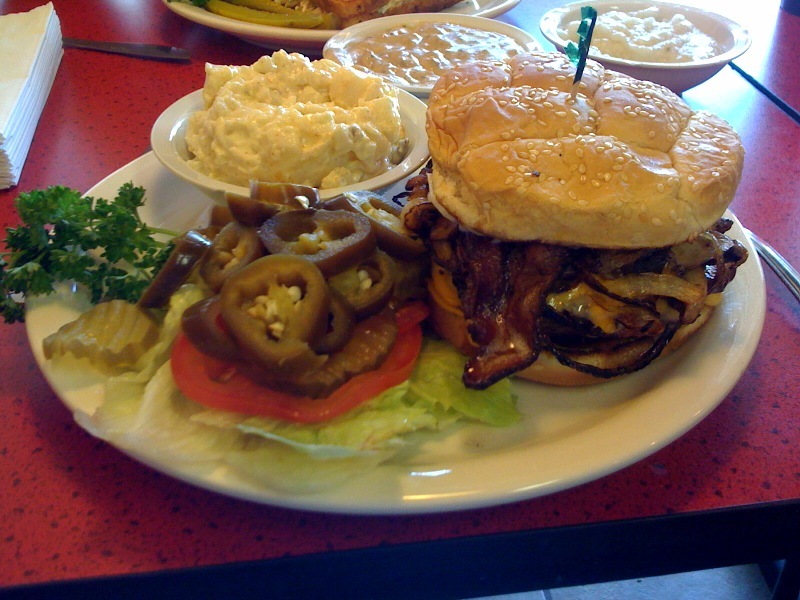 I live in Los Angeles, the burger capital of the world, and I am tellin’ ya from experience, Hermie’s puts together one of the best!